They get involved in chess if they’re lucky. They build self confidence and strategy and tactics and it totally brings them out. Susan has a big foundation, also. She’s been responsible for literally millions of dollars going to that. Her story is great. I love hearing her talk. Hi. I’m Doug Goldstein, and I’m a fan of I Share Hope. Enjoy the show! 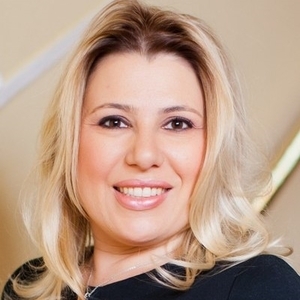 Hungarian-American Chess Grandmaster Susan Polgar has had an illustrious career, which includes winning 4 Women’s World Championships, and is the first player to win the triple-crown (Blitz, Rapid, and Classical World Championships). She became the #1 ranked female at the age of 15, and remained in the top 3 for nearly 25 straight years. In 1991, she broke the gender barrier by becoming the first woman in history to earn the Grandmaster title through traditional FIDE requirement. She is also a five-time Women’s Olympiad Champion, earning 10 overall medals – 5 Gold, 4 Silver, and 1 Bronze. In 2014 at the Tromsø Chess Olympiad, she became the first woman to receive the Furman Symeon medal as the best trainer in the world. I am so excited to be speaking with Susan Polgar. Susan is a Hungarian-American chess grand master — four Women’s World Championships; first player to win the Triple Crown; number one ranked female at the age of 15 and remained at the top three for nearly 25 straight years. In ’91 she broke the gender barrier by becoming the first woman in history to earn the Grand Master Title through the traditional FIDE requirement. That’s incredible! She’s 5 time Women’s Olympian Champion, earning 10 over all medals. In 2009 Susan became the first woman to coach a men’s division one college chess team to the final four. Her teams have won 4 consecutive National Championships. Today, Susan is just as busy as ever, continuing to coach, doing the commentary for major World Championships, the Olympiad. If you watch chess on any online channel or TV, you will see her name and hear her voice coming up frequently. She was just awarded a medal for the Best Trainer in the World, best selling author for two books and a new book that has just come out recently. Her two best sellers are World Champions Guide to Chess and Chess Tactics for Championships. The newest book is Rich as a King. She co-authored that with Douglas Goldstein and it is about chess strategies and financial investments. Susan also holds a world record. Susan, give me a little more detail — this blows my mind. Well, back some years ago in 2005 in Palm Beach Garden, I have set a record by playing — actually several records — 326 players simultaneously, which at that time broke the world record. And I lost only 3 of those games. But the record that still stands is that the most games consecutively that I played 1131 games, one after the other. Wow..How long did it take? Well, it was actually part of the whole big exhibition. There were some people who finished their games and new ones started later which didn’t count for the over-all number, the original number of the 326. So, I played 1131 players one after another and still only lost three games..
That gives me a headache just thinking about that. It took about 17 hours..
My Goodness — Well, Susan you have a lot more story than just chess. Not that it has minimized your life at all. It’s been a phenomenal story, but you come from somewhere where you are somebody besides just a chess player. Let me ask you our 5 questions about hope and you can tell us more about you in the process. Question 1: What is your definition of Hope or the favorite quote about Hope that you have? Well, I think a person needs three things to be truly happy, and it’s to have someone to love, to be passionate –find your passion in what you do — and also to have something to hope for. So, I think hope is absolutelyy’ very important part in our lives and without it, you cannot be happy. You know, life is not fun when you keep going to work every day and you don’t enjoy what you do or you don’t find anything interesting in either what you do or the people you work with. That’s usually a sign that it may be time to change for something different. That’s a good point. You know, I think our listeners can relate to this if we hear from a next-door neighbor or relative or friend — if there’s a negative comment going on in their life, it’s often in a relationship or they are just sick of what they are doing day in and day out or they have no long-term hope or vision for the future. Thank you. So tell me this.. Question 2: Who’s been most hopeful, or the best deliverer of hope in your life? Who’s really imparted hope to you? Well, I think instead of just naming one or two particular people, I would say humanity at large, because I had so many occasions in my life when things didn’t go my way. Just to give one of the many examples: when I qualified for the World Championship for the first time in 1986, I was still living in Hungary and finishing in the top in the Hungarian Championship and by the regulations, I qualified and all of a sudden, the decision came that I cannot compete in the World Championship, because it is the Men’s World Championship and women are not allowed. Obviously, at first my world collapsed, and I was very disappointed that all the hard work I put in — all the sacrifice I put in — all the hopes I had are in vain because it doesn’t matter what the results are, there are higher powers, so to say, and in a political sense in the chess politics that can ruin those hopes. But yet I learned later — six months later — that there was a group of people who had nothing to do with me really and independently felt the unfairness of it and fought for it. From Australia, The Australian Chess Federation with some others, you know, got together and said, “We need to change this. This cannot be. This cannot be the future towards the end of the 20th century.” Through that group of people, who fought hard for the right thing, they changed the rule and even though that year it was too late for me to compete, but the next cycle I was able to and for people after me it’s not a problem anymore. And this is just one of many examples when I found that even though unfairness happens in our world unfortunately, it did happen. It does happen and it probably will happen. It’s part unfortunately of human nature to some degree, but at the same time I think we also see that there is — even though there’s a small, very small percentage of evil — and people who want to hurt others — one who get had at all cost and whatever you call it, there is also a group of people who are the voice of reason and are fighting there for the right thing to do without any personal interest or benefit for themselves and that group of people in humanity, I think that’s what gives me hope, that’s what used to give me hope and that’s what gives me hope today as well. Susan that’s beautiful and it’s meaningful to me there are many days in my own story that I feel like the world is against me or the things that happened yesterday may be hanging over my head today and in reality, they’re small pieces of my world and you’re right. There’s always a few out there who might not want make life best for us and in your case truly discriminating against your gender. You deserved every bit of what you were shooting for there, but the discrimination got you and you are also right that there’s also a group of people who really want to see other humans succeed just based on the fact that they’re fellow humans. So, I think that’s fantastic and I think you just came back from your three points earlier. Someone to love, passion involved and there is hope for the future and you had relationships in there and obviously your passion and other people to hope for the same future you had. Absolutely yes..and of course you know it’s not just in your professional life but of course in your personal life the same way. I guess like most people in the world I guess I went through my own hardships and break ups and divorce and, you know, I know a whole lot about those frustrations, disappointments, when you feel like it’s the end of the world, you know, and he was the last guy and that’s it I’m never gonna be able to love anybody anymore and things like that and then eventually thanks to people, thanks to family, thanks to close friends, you know, that help you overcome those tough moments in your life, in your personal life as well. It’s obviously equally if not more important that you know of course in those cases but there is hope and you know at first it’s hard to believe that there is tomorrow and there is hope, but I learned through experience that yes there is hope and you should never give up and you should never think that that was your last relationship, that the only relationship that could have worked because there is hope. I have seen so many cases even from people in my circle of friends that somebody even 60 years old you know has been divorced for couple of decades and you know was about to give up that she’ll ever find the right person that she can be happy with and yet in front of my eyes, she met somebody at the dance club and you know, in a dance class actually and they fell in love and they are happily married already 4-5 years now and that hopefully for the rest of their lives. So, you know, it’s never too late to find happiness and you should never give up hope. It is never too late. That’s a great point, and you just said it again, you got back to relationships, people to love, passion and a hope for the future. Hey..I think you may have answered question 3 a couple of times now — stories of your background and how you’ve had to use hope to come through those things, am I correct? Well that’s great. (laughs with Susan) I’m not opposed to mixing up the order a little bit. All right. Question 4: How are you using hope today in your life or in the lives of others? I know you are very involved in some foundation work. I’d love it if you’d tell us more of that but also anything else that you are doing that’s just simple acts of kindness or hope in your community. Well, I founded a Susan Polgar Foundation over a decade ago now with a mission to give opportunities to young people in the United States and somewhat internationally and especially open doors for girls that is, you know, through my example that has been discriminated against in the world of chess which is largely male dominated. It has improved obviously in my life time, but it’s still not quite equal and so we try to give opportunities to young girls in the United States to improve their chess and probably more importantly to learn through chess and open doors through chess to perhaps college scholarships or opportunities in the work force later on in their life through connection and through achievements in chess and not only through my foundation but also in my day job so to say at Webster University where I founded the Susan Polgar Institute for Chess Excellence (SPICE) in short. It also has the same ideas in giving opportunities to young chess players around the world and in the United States obviously. Not needing to choose when they finish high school whether they try become a professional chess player or pursue a higher education, but it’s a perfect. — the best place — to try to combine the two. To get an excellent higher education at Webster University and at the same time pursue improving their chess skills and reach their dreams within their chess careers at the same time and you know at SPICE we have the number one ranked chess team in the United States and we have won . . . My teams have won the past four final fours National Championships, two with Texas Tech, where I started the SPICE program, and the last two at Webster University, but the program is, of course, a lot more than just a chess program or chess team. It’s really trying to give guidance, give life lessons to these young ladies and men who are about to embark in their life after school and by trying to teach them the right values, the right professionalism, and how to approach life at large, what’s the right thing to do. Wow. I love how you are using your skill set, your natural skill set as a chess player obviously, you were probably born a better chess player than I was and you’ve practiced a lot more. Actually, believe it or not, I don’t really believe in born talent that much because I truly believe that anybody is capable to achieve anything they set their mind to. I really believe that my achievements are a result of hard work and if I can do it, anybody else can do it. I love that! Oh I love that, so actionable. You have a goal out there and you have an actionable way to put it to test and you’re using your ability now that you worked really hard for not to just deliver the product of a good education or skill set in a game, but to actually teach other life skills that are beyond the board and that’s fantastic. That’s really investing in people. Well, I really believe that through chess we can educate people. A lot further than just chess moves or winning chess games and I think the whole point is to teach the process. How chess players think, the critical thinking, the assessment skills, the analytical skills and perhaps most importantly problem solving skills. That I think is badly lacking in our society today with so may people they are lacking especially the problem solving skills and of course the other three are the process to be able to solve problems correctly and efficiently. So that is why I am so passionate about chess, about promoting chess, not just as a game, as a hobby, as a profession. That’s just maybe a side result of it. But really the ultimate goal is to educate people to think logically, to become critical thinkers and problem solvers. I think that is really the key that we need in our society and chess is just a tool to get there. And so it is in our book that I co-authored with Dr. Doug Goldstein, Rich as a King, where we educate people through the thought process that we use in chess and you don’t need to be a chess player to enjoy the book and learn from the book and benefit from the book. Anybody can really learn from it. I think we are trying to break it down to very simple language and very much step-by-step the right method in how to improve your financial life which obviously is key for all of us. As much as we don’t care about money or we do care about money, you know, as we say in Hungary . . we live from the market. I mean the market where you buy the food, right? So you need bread and butter on your table and at the end it is important how you deal with money, hard earned money. That you worked so hard for, right? And if you have a regular job, middle class person, family, you know, it’s pretty much impossible to get rich unless you invest and that’s whether you invest in stock market, you invest in a business, you invest in some form. You think ahead and you start saving, and well, you have to read the book. I don’t want . . . but really in the book we try to lay out through chess metaphors and through chess examples that I’ve been through in my life and as I said I’m not talking about chess moves but yes there are some, but it’s maybe 1 or 2% of the book that’s related to chess and even that is intended to be explained in the level that as long as you know the rules of the game, you can understand it. It’s not for chess masters by no means. It’s really for the average person that has played chess before maybe 10 years ago, maybe 3 months ago, but you don’t have to be a serious chess player to understand the book and to benefit from the book and really it’s a self-help type of book which tries to explain as clearly and as logically as easily, simply as possible in how you can better your financial life. Susan, I think that what you and Doug Goldstein have done there is really phenomenal. My background is finance. I was a CFP and licensed. I‘m not anymore. I’m glad to lay that one down and do things I am more passionate about, but the logic of investing or the logic of financial planning, savings, paying off debt, whatever it may be in your financil life, the strategy and the logic is so important and what you all are doing there, explaining how to take logical, systematic steps and not let your emotion take over when the hard decisions hit you in the face, is critical because usually our worst financial decisions — if you are a millionaire — or if you owe millions, either way our worst decisions are usually is at the highest emotional times and strategy and logic win so many times. Question 5: I think you are rolling right into it. Give us some good strategies, some good simple steps for anybody who may be in the midst of a hopeless situation? What are your 1-2-3’s that we should be doing to really start making a change? Well, I think first of all believe that good things will be ahead of you. Trust your family especially and friends, the people who you really think want the best for you and listen to them, the people that will tell you, you know, that give you advice, you know. And believe that hard work, that if you try really hard at something, good things will come your way. I really believe that perseverance and hard work eventually pay off. Sometimes you have to wait a long time, and I remember those days and when you’re in those days, it seems like it’s never coming, you know, but yes there is light at the end of the tunnel and believe in that. I think that’s the most important thing and if you can honestly tell yourself that you worked hard and you tried hard, keep doing it and the good things will come to you. So to summarize what I think you’re saying, and make sure I’m getting this right. You’re saying having a belief in something that’s realistic, that can really happen in the future is critically important. And then also really leaning on and trusting your friends, family, whoever’s closest to you and loves you the most that they have your best interest at heart and listening to them because the fog may be over your eyes. So trusting them to say “Hey give me some advice on where I should go next” and then number three would be, hard work and perseverance. Start taking steps and don’t stop moving forward. And if you take a step back or someone else does for you like you did with the discrimination issue with that championship you were after. Somebody pushed you to step back and you would think “Boy! All that hard work, what happened?” but you kept moving forward and things played out. Absolutely! You summarized it perfectly. Thank you. Susan, you are fantastic. I can’t thank you enough for helping us answer our 5 questions. I love what you’re doing in life. It’s phenomenal what you have already done. I can’t wait to see what’s next for you. I can’t wait to see the next book. There are so many things. So tell us where we can find you? If we want to follow you on social media, websites, where we can pick up a copy of the books, etc. susanpolgar.com and you can also google her name and she is all over the place Twitter, Wikipedia lots of news articles and stories. So, Susan it’s fantastic talking to you. We always ask this on our way out. I think you’ve seen it there on your show notes..
Is there a piece of music or song or Artist that you just think of when you are driving along or heading home and you’ve got to put something in your head to shake the funk off of the clouds and get you back in gear. What are you going to listen to? It really depends on my mood. I love ABBA, for example from the old days, or you know, I love Italian music, Albano and Romina Power. It could also be Adele. Oh yeah, you’re picking some good ones. I’ve always thought it’s fun to ask people that question, and I’ve never been able to ask a Chess Grand Master what she jams out to. It really depends on my mood. I can be in the mood for Latin music as well, or classical music. I love the diversity. Susan, thank you so much for your time. Thank you and for everybody out there, Believe in Hope. Well, that’s it for I Share Hope podcast Episode 2. Head over to the show notes at isharehope.com. Just look for Episode 2 or the name Susan Polgar and we will have all the resources that she mentioned including links to contact her. Find out what she’s doing, where she’s speaking along with a great comment section where you can join the conversation about sharing hope. Thanks so much for joining me today. It’s great to have you along. I’ll talk to you next time.